New York’s Electric Zoo is roaring into town this Labor Day weekend and is set to be one of the biggest festivals this summer. With a stacked lineup, beautiful location, amazing production, and a beautiful weekend of weather, Electric Zoo is definitely the fest to be at. 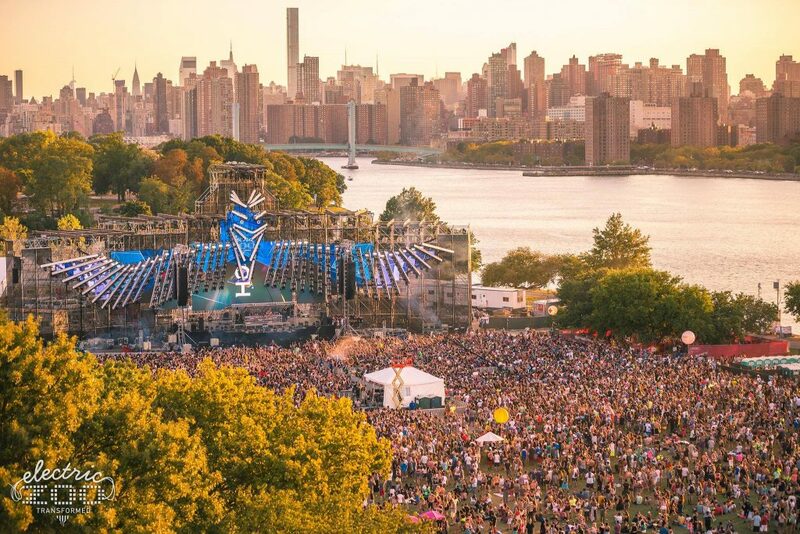 Electric Zoo will once again be held on Randall’s Island, right off the shore of Manhattan. The venue is definitely a sight to be seen and makes for a perfect festival atmosphere. With this years theme of “Wild Island”, you can expect all sorts of crazy animal based decorations around the festival. Electric Zoo came out swinging this year posting one of the biggest lineups we have seen. With big name headliners like Bassnectar, Porter Robinson, Tiesto, and Hardwell, and amazing supporting acts such as The Chainsmokers, Datsik, Steve Aoki, Big Gigantic and plenty more. There’s something to suit every ones tastes. Friday sees the biggest day for bass music fans with an insane lineup at the Hilltop Stage. Datsik will be headlining the night with support from Zomboy, Cookie Monsta b2b Funtcase, Spor (better known as Feed Me), G Jones, and Illenium. This stage will be a bassheads dream. To cap off the night you can make your way to the Main Stage and catch Bassnectar throw down his own unique style of bass music. Saturday sees a more chilled, but still incredibly strong and hype lineup. The Hilltop Stage will have Big Gigantic closing out the night along with, Matoma, a live set from Hermitude, and Louis The Child. On the Main Stage, Tiesto will be headlining the night with his house and trance anthems. The man is a legend and a definite must see. Joining him on the main stage will be my personal favorite Porter Robinson. Porter will be performing his Worlds Live set which tells a story with beautifully made music and Visuals, this is a for sure “must not miss” act. Borgore, Headhunterz, and NGHTMRE round out the rest of the Main Stage for Saturday Night. Sunday brings us to the last day of the festival and there isn’t any settling down. With a Buygore curated stage and a heavy hitting Main Stage Lineup, Sunday will be an amazing end to this festival. Buygore is bringing out some of the best with a 2nds set from Borgore, as well as Getter, Valentino Khan, Lil Dicky, and Juicy J. This stage is sure to be bumpin all night long. The Main Stage aint no joke either with the former #1 DJ in the world Hardwell Closing out the festival Strong. The Chainsmokers will also be throwing down for their hometown and is another “must not miss” set. Electric Zoo has definitely put together one of the best lineups we’ve seen this year. If you are looking for some new artists to check out here is who I recommend; Anna Lunoe (Friday on the Riverside Stage) is an amazing up and coming producer and DJ. Her fast paced bass/hyper house sets are a sight to be seen. She will have you dancing and having fun the whole time. 3LAU (Saturday on the Riverside Stage) always has something new up his sleeve with unique sets combining all sub genres of EDM. He will definitely catch you by surprise if you make your way over to check out his set. Lil Dicky (Sunday on the Hilltop Stage) may not be an EDM act, but he will for sure have you hyped up. With his amazing and unique flow paired with genius and hilarious lyrics, he will for sure have you hyped up for the rest of the night. So this Labor Day, make sure you make your way to New York to hit up Electric Zoo and let your wild side out!